After many requests from photographers over the years, I am finally coming to North Queensland to do a seminar, and I am bringing with me a couple Australia’s most successful photographers. After the fantastic success of the “A Day For Photographers” in Sydney, Melbourne, and Perth, we will be travelling to Cairns to help as many photographers as we can to help grow their photography business.Do you lie awake at night thinking how you can get more customers? Wondering how to take better photographs? How to build your photography business? This 1 and 1/2 day event will focus on Photography – Marketing – Selling. 1. Developing Your Photography Into A Clear Brand. 2. Getting the Right Customers. 3. Developing A Conversion System To Convert Leads Into Customers. 4. Creating Your Price List To Maximise Sales. 5. Marketing for a Constant Flow of Customers. 6. Becoming a Master Photographer. Live demonstration with Murielle and Carol photographing families and children in their individual unique styles. Bring your cameras along and and learn some new techniqes. A full day in learning all the business things that you need to know to create a successful photography business, from Facebook advertising to making big portrait sales….it will all be there! His studio experience, expertise in Facebook Marketing, and down to earth approach to business, has enabled him to help and guide photographers in growing their business and generating more income. He will help you build something that lasts, and guide you in growing your business and getting results. You won’t hear the same old strategies you’ve heard a million times before! Other photographers call him the world’s only 365 days, 24hours a day photography business coach, because coaching is his life. Murielle Sassine, owner and operator of Vivid Imaging and Blackbox Portraits, developed a passion for photography at a young age. She pursued her interests in photography and obtained a degree in Visual Communication, establishing herself as a photo media specialist. 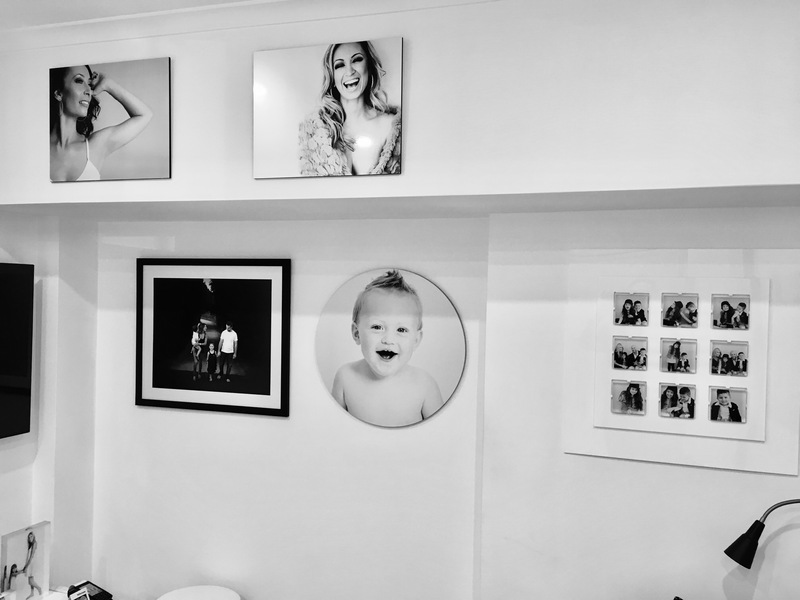 Murielle has run a successful photography business from home for over 17 years, and has achieved great success with her sales in the areas of portrait and glamour photography. Her portrait sales this year have been “mind blowing” and she had a record turnover for her business, over the past 12 months. She will talk about some of the many challenges facing photographers who work from home and how you can get a good work/life balance. Sydney Master Photographer Carol Gibbons, has more than 25 years experience specialising in portrait photography of newborn babies, kids, pets and families of all ages. Her shop front studio is based in the Northern Beaches area of Sydney, and she is celebrating 18 years in that location this year. While studying Fine Art, Carol found photography was her passion and pursued further study in Art Photography, after completing her diploma. She started her business in the early 90’s photographing Weddings as well as Portraits, and has continued to update her skills as well as judging at the State and National Awards for the AIPP. Carol Gibbons is an Accredited Member and Licentiate of the Australian Institute of Professional Photography and has qualified as a Master of Photography many years ago, as well as winning a Grand Award for Portraiture at WPPI. She believes that to survive in the portrait photography business, you have to develop your own style in photography as well as marketing, look after your customers, and give people a reason to pay us to create their portraits. One of the keys to having a successful photography business is to have great products to sell, and to showcase your photography. Many of the photographers that I coach are achieving some incredibly high numbers in their portrait sales, by selling prints not pixels. 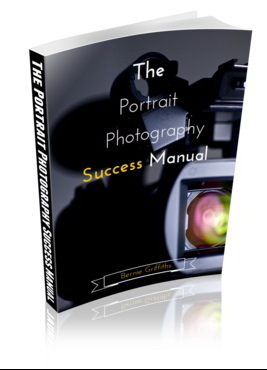 In an era where we hear so much about photographers selling files at incredibly cheap prices, there are many portrait photographers who are regularly making portrait sales well over $2,000, by selling high quality photography product. Whether it is babies, weddings, families, or even pets, there is a big market out there for people wanting to buy wall art, albums and other products that will become long term priceless memories of their family history. 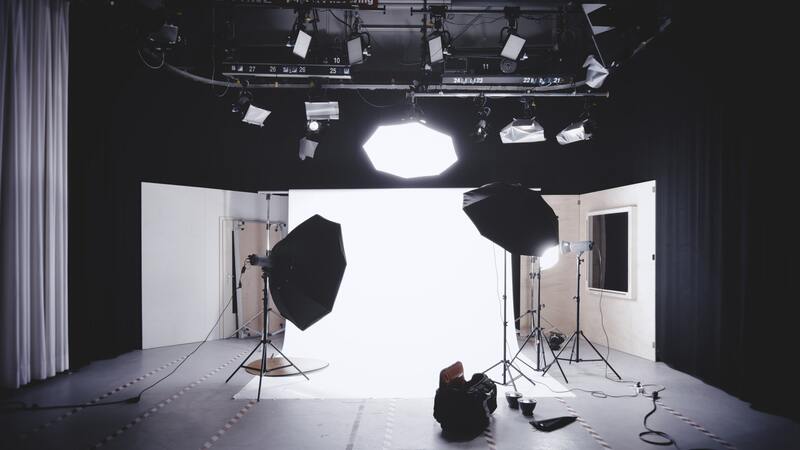 Choosing the right photography products takes time, and you need to approach choosing the right products for your photography business in an unhurried, comprehensive, and professional manner. Sales are the lifeblood of your photography business, and having the latest and purpose designed products, puts your images at the centre of attention, and gives an irresistible offering to your customer. One of the biggest suppliers to the photographer is Seldex. They are a local company based in Melbourne and have been at the forefront of manufacturing high quality photography products for decades, and as a studio owner for over 40 years they were my major supplier. Now as the world’s only, 24 hours a day, 365 days of the year, photography business coach, I recommend Seldex to my clients. Here is a great opportunity for you to view their products and have all of your questions answered. For more information http://www.seldex.com.au or email nicole@seldex.com.au. More and more photographers are working from home, and this trend is set to continue into the future, as more and more photographers take their hobby into a new world of small business. Photographers are willing to juggle their business and family life for a more simplified lifestyle that can bring rich rewards if handled correctly. However, a business at home does have many challenges. Small business owners, have been hit hard over the last few months as power bills, petrol prices, food prices, and just about everything else has reached record price highs. The home-based photographer is rapidly becoming the boom industry of this new era. More and more people are opting to change their lifestyles, as more and more mothers become skilled in taking good photographs. Working from home has great benefits, but can also have its price. Working from home, changes your entire life. Your castle, and your family’s once safe sanctuary, becomes a multi purpose abode, trying to be all things to all purposes, and can effect all of those around you. Your work life can easily spill over to your personal life. Your home now becomes your place of business where receiving client visits, and telephone calls, becomes mixed with your family demanding attention. In making your decision to work from home, you have to realise that your personal or home life could intrude on your work, and vice versa. Your child may grab the phone to answer a wedding enquiry, or your dog or cat may come to the door when a client comes to do business with you. Your husband may wonder why you are so tired every night, or why you sit in front of the computer for hours on end. A major concern in working from home is the total loss of privacy. Your privacy is compromised when you are bringing clients into your home on a daily basis. Complete but invited strangers will find out about your children and family, your pets, and your lifestyle. The fact is that working from home is hard, and more than ever, discipline is needed to push you to focus on your work. The good news is that working from home can provide you with a fulfilling career, while being constantly around the family. There are many other benefits of course, and the best one is that if carefully planned and executed, your business can give you a great income. So why do you want to have your own photography business? Like owning your own business? See more of the kids? Running A Photography Business Is Not Easy. This is what a lot of photographers have told me. Especially when you are isolated in a country area, or run the business on your own. It can be lonely. It is not easy. 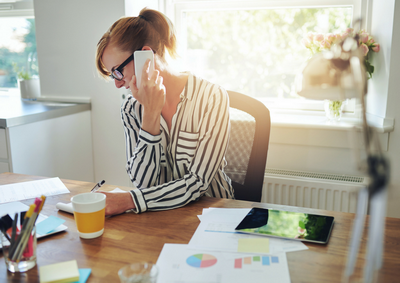 Running a business from home can also be stressful, with the added pressures of balancing family life. The market place is also very competitive, with photographers opening up on seemingly every street corner. Starting a photography business without any training, and very little capital, can also be daunting. I have seen over my forty years of owning a studio, some photographers become millionaires, while others have failed. The one key ingredient for success is passion. Not being able to see failure. Your passion will drive you. This book is the road for your passion to drive along. One of the weaknesses I often see in home studios is that they believe in the old saying ”build it and they will come.” This is no longer applicable in today’s highly competitive market place. Especially in the wedding and portrait market areas, where there are literally hundreds of small photography home studios, in large and small towns all over Australia. The photographers that succeed in this industry are masters of marketing and promotion, and not necessarily masters of photography. They have also made the effort to seek the help and advice from an experienced and qualified photography business coach or consultant. Here are the top 8 challenges that you may experience if you chose to work out of home. A common concern of most home-based photographers is whether their customers will consider their business a real one, rather than just a hobby that they are making a bit of money from. They think that their customers may feel that the business is not legitimate. Separating work and family life. 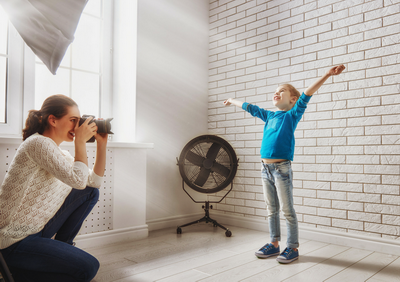 When a photographer makes a decision to work from home they feel that one of the advantages is that they can be there for the kids, but this can be an enormous disadvantage as well. The daily household chores, picking up and dropping off kids, and working around sleep times of smaller children, can be a great source of distraction in running your business. As everyone knows, there is always something to do around the home, especially when you have kids. It is very hard to talk professionally to a customer over the phone, with a two year old screaming in the background, or trying to photograph someone else’s children, while yours are fighting in the other room. Handling two or more different roles under the one roof, can create challenges and difficulties, as you juggle the demands of both your home and your business. The setting-up of a home business is made easier if you have a large house, and you can separate spaces for the business. Lack of space can be a concern if you are living in a small house or an apartment. Compromising some of your family space can be quite confronting, but this is a trade off that you sometimes may have to accept. A separate entrance for the business would be ideal, and just thinking through the problem and discussing it with someone outside of th immediate business can often bring a solution. Working too much or procrastinating. When working from home, there is always the constant temptation to work long hours. You shouldn’t feel guilty if you check and answer emails in the evening when the kids are in bed. If you are passionate about your photography and are constantly working on growing your business, you should work hard. Only if working too much intrudes on and effects your family life negatively, should you re-evaluate your work ethic. There is an unlimited amount of things that you could do around the home instead of doing work related things. Failure to keep up with your work-load could amplify and create a massive problem in a very short space of time. Even if you have your own private business space in your home, privacy and security is always a concern. You also need to keep the whole house tidy, just in case the customer has to walk through your house to go to the toilet. Some customers can be annoying if they knock on your door at all hours of the day and night. You must make it clear to your customers that you work strictly by appointment, and are not available at other times. Your customers will appreciate your professionalism in this regard. Be sure that your family understands what it takes to operate a home business. Talk to your husband or wife and ask for their support, and explain to the children your need to be given time to work for the business. Some members of your family may resent the fact that while you stay in the house for most of the day, your attention is not focused on them. However, be sure also to know when to stop working for your business and start living as part of the family. Your family and kids need your attention, and of course housework, friends, and even pets, can demand your attention at different times. Working at home can be very hard if you have a newborn baby or three or four small children who always demand your full and complete attention. If you are the sole worker in your home business, you may feel isolated and often lonely. It can be a confronting and solitary existence, when you are dealing with customers, phone calls, emails, and the photography, without having someone to share your experiences, or ask advice. The isolation can become quite intense, especially if you have a naturally outgoing personality. Self discipline can become hard with no one looking over your shoulder. Failing to maintain a tight time management regime, and not being able to control and handle your feeling of isolation, will make it very hard to achieve success in your business. When a photographer commits to working from home in the hope of making some money from their passion, the one thing they lack is the knowledge and experience of how to control and maximize the way in which they conduct their business. Many of these photographers may be like yourself, a mother/father and wife/husband first, and a business person second. Taking that transition in becoming a business person may be difficult to handle, if you have not had any training in setting up and running a business. Experience of course can only come with time. Time will allow you to learn. The question of course, is whether the things that you learn are the most effective and profitable way, of going about it. Attending seminars and workshops held by other photographers may motivate you and help you take better photographs, but may not give you the individual and specific answers to your particular circumstances. I’ve attended heaps of seminars and workshops, and what I found was that they gave me short-term inspiration, but did not put any money into the bank. Only practical advice from and experienced and readily available mentor or consultant can achieve this. Every photographer working from home, has their own individual and personal challenges. These challenges need to be addressed individually with their own unique circumstances taken into consideration. So what’s the secret to growing your photography business despite the tough economy, and the challenges of working from home? Any business whether large or small is mainly about solving day to day problems. Getting more customers, increasing sales, lowering overheads, staff relationships, and maximizing the efficiency of work spaces, are all focused on to improve profitability. A micro business that is operated from home by a single person, has the same issues to resolve. What you may need is a viable and long term business model. You need to develop business systems which cost very little time, money and energy, together with sourcing help and guidance in integrating them into your business. In other words, a business model that puts money into your account regularly, year after year. I have consulted with many photography businesses over many, many years, and have seen the effects of the pressure that it can have. I have seen marriages break down, uncontrolled debt, and legal proceedings, all happen with bad business practices. Working from Home and Life Balance. Sally is married with two gorgeous four and six year old daughters. She was a school teacher for thirteen years, but always had a love of photography. She and her family live in an outer suburban town in Victoria with a population of around 300,000. When her husband was made redundant, they decided, after many lengthy discussions, that Sally would start a photography business. Their plan was to run the business from home, and then maybe later move to a shopfront. Sally was to operate all aspects of the business, while her husband was to look after the children. They had a small amount of savings that would sustain them for a while, and if things didn’t work out as planned, Sally could go back to teaching. Their plan went well, and after two years they were making enough money to support the family. Then they had a problem. Although business was fairly good, they became increasingly nervous about the future. Although Sally was working from home she was spending less time with her children, and her relationship with her stay at home husband was becoming increasingly strained. Her youngest child also began to have behavioural issues, due to Sally not spending enough time with her. It was at this point that Sally called me asking for my help. I have consulted with many photographers who have encountered similar problems. Sally’s intense focus on the business, meant that she was placing her family secondary in her priorities. This of course, was in turn, putting pressure on her husband, as he had to spend more and more time with the children. The first thing that I did was to ask Sally and her husband to sit down with a twelve month planner. I then asked them to select dates for family holidays, and other events that would be dedicated family time. This could be as simple as a walk in the park or a family barbecue or picnic in a park. I encouraged them to let their children participate in this family time exercise, so that they could make some suggestions of what they would like to do. Now that they had set the family time, any business time would have to be planned around this. So now family time had priority. My next step was to go through all of the business elements that Sally had put into place with her business model. She had done quite a good job of this, but did not know how to lift the business to the next level. Together we looked at the types of products that she was offering to her customers, the pricing, the way that she did her selling, and the way that she photographed. We then reviewed her advertising and promotion strategies. I then implemented changes in all of these areas. I introduced a new product which unique to her photography business and separated her from others. I raised the prices of the rest of her products, and trained her in my unique photography selling system. I gave her new ways of attracting customers, with different types of promotions and together we set some realistic financial and family goals. I also helped Sally to re-brand the business, so that it would attract a better type of clientele. The introduction of my Pop Up Studio http://www.popupstudio.com.au solved the problem of not having enough room in the house to set up a studio. One year later the business continues to grow and Sally now employs three part time employees to help with the workload. Her portrait sittings are consistent each week, and her weddings have increased by thirty percent. The family has had a long holiday in Fiji, and their new work and life balance plan is working well. They are financially strong and managing to save money each week, and I am continuing to help and guide them. Jane is a single mom with a fourteen year old daughter. She lives in a rented house in a small regional city in Victoria with a population of 29,000. The main industry in the area is farming. Jane was a photographer, working for a studio, when her partner of three years decided to end the relationship. The only skill that she knew was photography, and so she decided to try and support herself and her daughter by taking photographs. She began photographing kindergartens and child care centres, as well a few portraits and a few weddings. She ran the business from her home. Jane was able to sustain an income for a number of years, but not enough to create any savings. She lived a financially controlled lifestyle, and never went on any holidays. Things changed dramatically for Jane when digital cameras came onto the market. Now almost anyone could produce quality images and get them printed at ridiculously cheap prices. Jane’s income declined dramatically. She had no idea how to advertise or promote her photography, to lift herself out of her financial burden. Jane called me and told me of her desperate plight. I drove the three hours to her home and started the process of finding a solution to help Jane to get more customers and create better sales. I looked at her photography, and saw that this could be improved. She was photographing all of her customers at outside locations. The digital world had caught up to her, as moms and dads were taking perfectly acceptable photographs in an outdoor environment with their digital cameras. Jane’s problem was that there was not enough difference between how she was photographing, and how they were photographing. I suggested firstly that she change her photography style and create a defined brand. I set up some simple studio lighting in a spare bedroom, and complimented that with a couple of modern backgrounds. After I had given her instruction on how to get the best from the studio set up, we sat down and looked at the other areas of her business. I am so excited! I love photography and two years ago I started a business from home. I just did portraits of children and did a “shoot and burn“, offering a CD of images for $175. After a little mindset change and going through a lot of learning curves, and after making some hard decisions, I am now charging closer to my real worth, and I am regularly selling nearly $1000 per sale. I have also had quite a few sales even higher than that. What it took me so long to learn, was that people will pay a lot more, than what you think you are worth. I was just about to give my photography passion away, and go back to my previous job as an administration officer for the local council, when a close friend who was also a photographer, suggested I contact Bernie at The Australian School of Wedding Photography and see if he could help me. I didn’t have much hope that anyone could help me, as I am no good at selling, so I could not see any way out of my situation as I only knew Shoot and Burn. I would show my customers their images on my computer and then give them the CD, and they would leave. I organized to have a free Sype session with Bernie. He asked me lots of questions, and then suggested that he could help me in the key areas that I was lacking. One was that I needed to stop Shoot and Burn, and start selling wall portraits. Then to design a structured price list, and then to adopt a simple selling system. The structured price list was the most important thing. Once I had that, all I would have to do, was to adopt Bernie’s unique, and easy selling system. I would show the customer the products that I have for sale, go through all of the prices, and sit back to let them make their own decisions. Simple really. But it worked! By the way, I understand if you’re charging less than $35 each for your Gift Prints (8×10 and smaller). Those were the prices that I had been charging. All I can say is that you are probably cheating yourself, because I know from my own experience that the customer is willing to pay heaps more than you think. If you love what you do, and are passionate about your photography, sometimes you forget about the money. You take photographs because you love it. It could be the only thing that you have found that you are really good at. I just got so tired of working so hard and having no money in the bank. Yes it was scary at first trying to lift my self worth and lift those prices up. But when I did, my customers respected me more, and raved about their photographs. My advice would be to get rid of that nervous and devalued mentality, if you have it, and get help to develop a photography pricing plan and selling structure that will take you to developing a strong home business. Be strong – do it for you and your family! Call Photography Business Coach Bernie for a free consultation like I did. Better now than never. Working through consulting programs with Bernie has taken my business far and beyond what I thought ever possible! Not only has he world of experience in the actual craft of photographs but his focus on the business of photography and getting the fundamental of business practice spot on is exceptional and totally inspiring. When I contact Bernie he swiftly took a snapshot of my business as it was operating, suggesting some quick fixes that could be implemented straight away to assist with efficiency of running the business on a day to day basis. Over the next 3 months we worked together on implementing a number of marketing programs, restructuring my products and prices, implementing a sales system along with growing the business with additional part time employees. The result was an array of structured business systems which could be employed across a variety of clients and situations, along with a more than a 75% increase in my average portrait sale. The business structures allowed me to spend less time working in the business and more time working on the business, and having more time with my family. One of the best things about working with Bernie is that he is a straight shooter – no nonsense, just effective ways to improve and enhance your business of photography and your photography itself. As he has been running his own successful business from the time I was born (!) he has experienced all there is to experience and is willing to share his knowledge to assist others to take their businesses above and beyond. He is always easy to contact and reliable which when working business to business is essential. Consulting with Bernie has changed not only my business life, but my family life. I am now making really good money in my business, and am looking forward to the two week, five star family holiday coming up soon. I could not have achieved such freedom, or such financial reward without Bernie’s guidance. I have been awarded 2 silver and a Gold Award in the Australian Professional Photography Awards. At my first attempt at entering photography competitions. Under Bernie’s direction, I also won the Micro Business of the Year Award in my local community- testament to the fact that Bernie really knows his stuff, from the photography side to the business side. Bernie has had over 40 years experience owning a successful wedding, portrait studio, still operating in Malvern, Victoria. He is a “down to earth“ person who can relate to all areas of your wedding /portrait business. He has walked the path as a wedding/portrait photographer, and knows the frustrations and day to day challenges. Skype Consulting includes “one on one” consultation by Skype, which is a “face to face” with Bernie, over a period of time. FREE Memberships PLUS an added BONUS of Complimentary seminars and events.